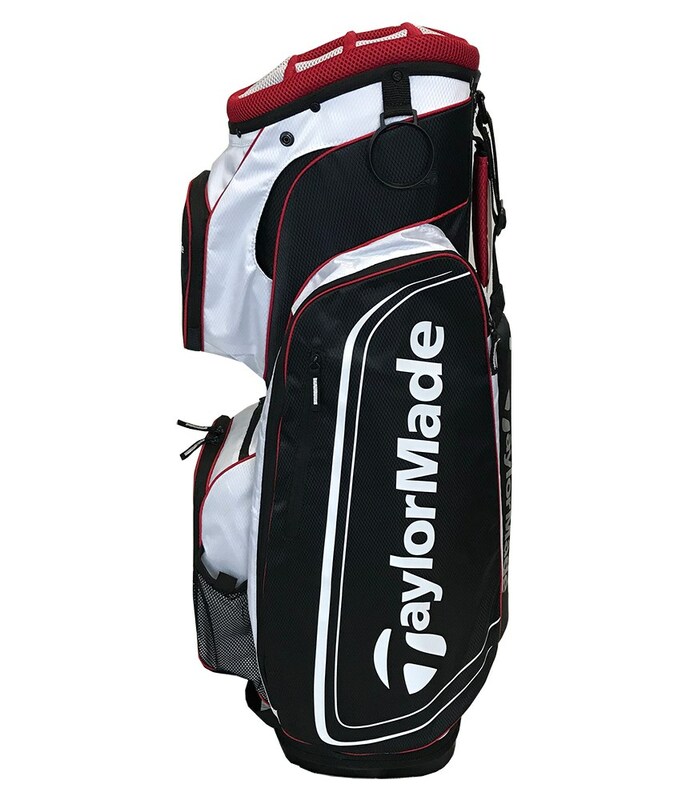 The TaylorMade 3.0 cart bag fits securely onto the majority of trolleys and buggies as well as being light enough to carry should you need to. 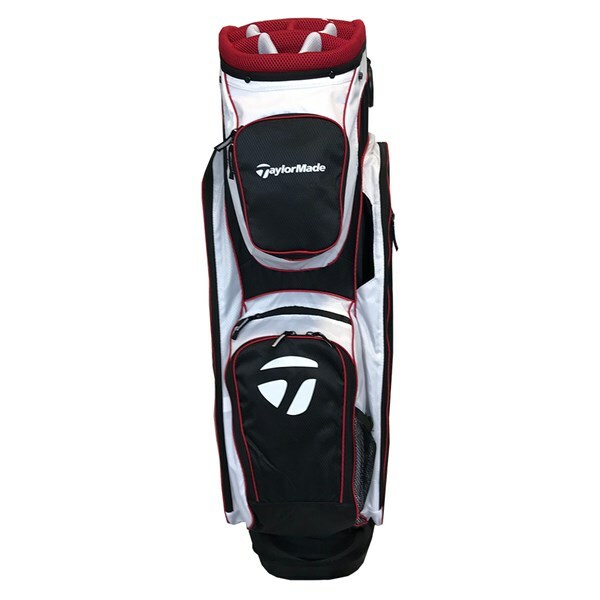 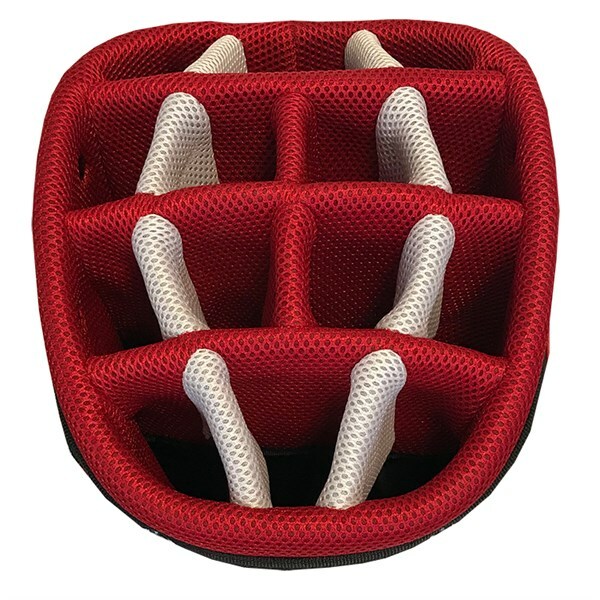 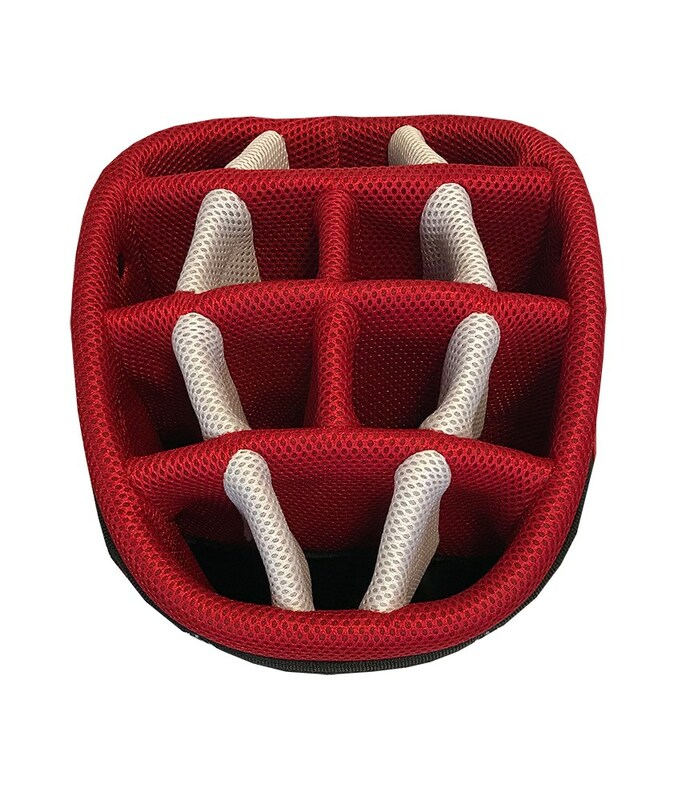 With its 14-way divider top it provide excellent club management and protection for your shafts. 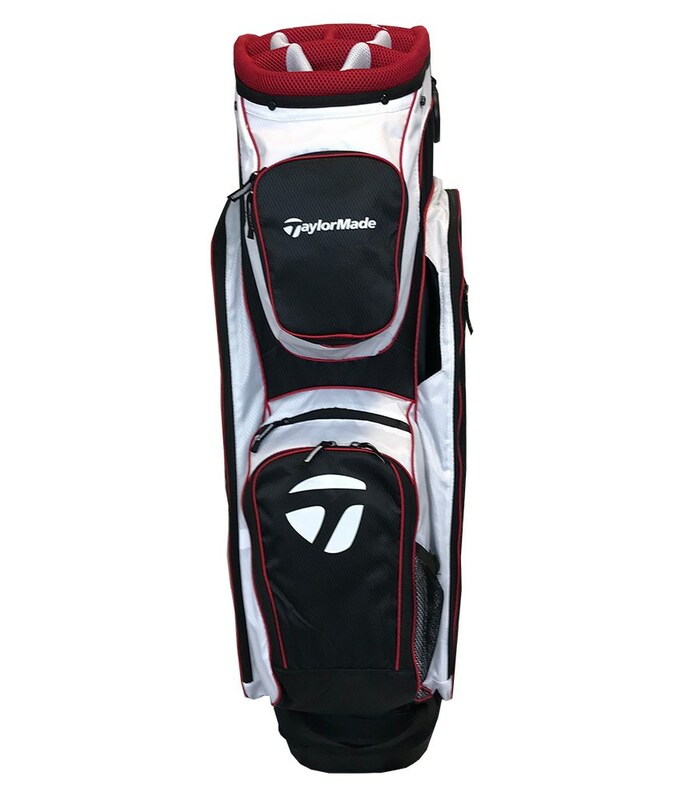 A total of 7 pockets including two full-length apparel pockets provide ample storage room and all the pockets are forward facing to ensure easy access when you are on the move. 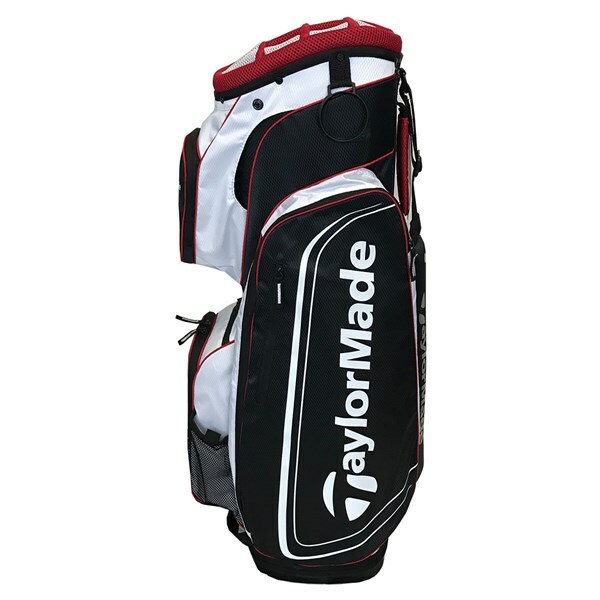 Other features include a drinks holder net, towel ring, a single padded strap and a matching rain hood.